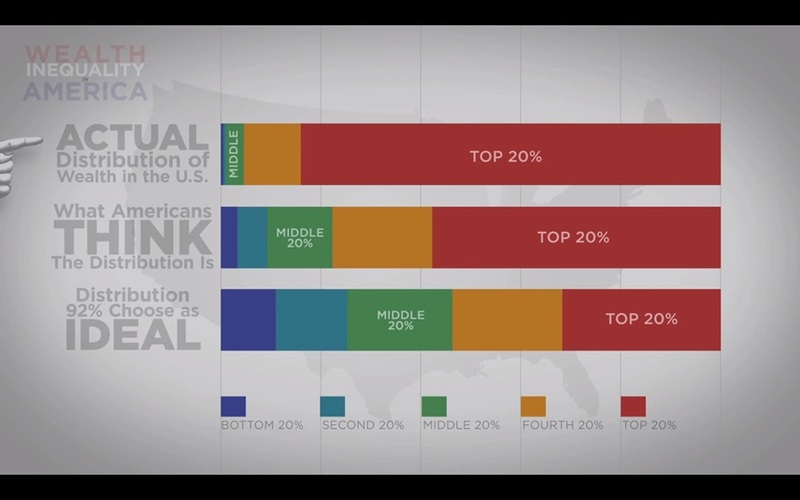 A short infographic portrait of the wealth distribution in the United States divided into 3 different outlooks, the ideal, the perceived and the real distribution, showing that the reality is not always what it seems. This 6 minute documentary depicts the huge inequalities in the distribution of wealth as 1% of the population owns 40% of the total wealth of the country, as opposed to 80% of the population that owns merely 7%. This reflects, of course, the poverty and scarcity for a large percentage of the population.